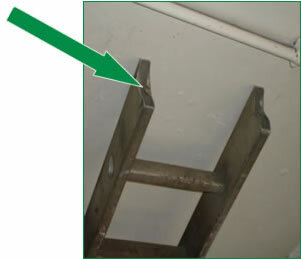 Do not use the ladder if stiles are bent or split as the ladder could collapse. Do not use the ladder if feet are missing, worn or damaged as the ladder could slip. 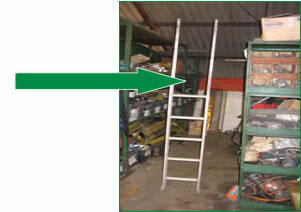 Do not use the ladder if rungs are bent, missing or loose as the ladder could become unstable.